Little Fish Audio is a group of recording and mixing engineers who are comfortable selling the hardware and software that we use to make hit records. Gear is and always has been our passion! This passion is only superseded by our love of the music we have been able to make, the people we meet along the way. Most importantly we are gratified by serving YOU. As technologies for music making have been refined over the years, so too have the marketing tactics of industry manufacturers and developers. We hope to simplify this melee for the serious recordists. 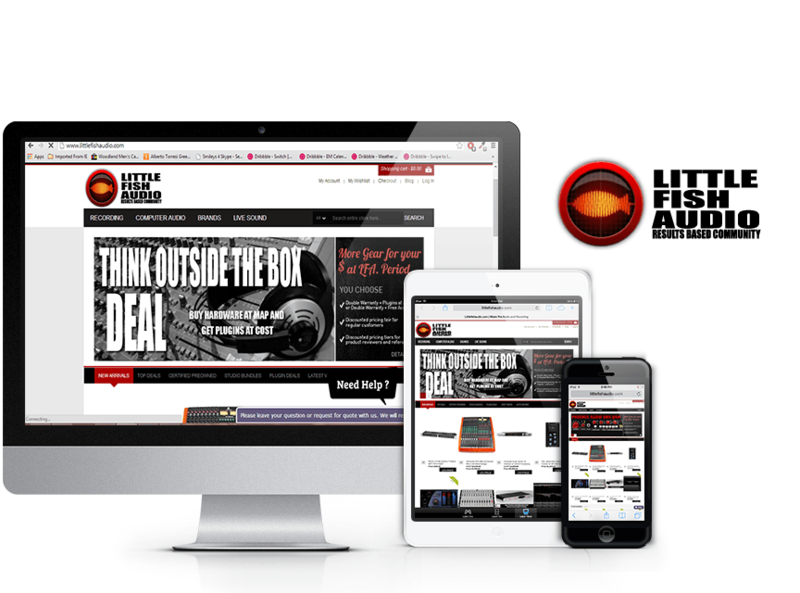 One Team US, LLC rendered an exceptional service for Little Fish Audio Website – http://www.littlefishaudio.com, the conversion of its previous platform into Magento eCommerce Platform to make it easier for Admin Setups and to have the authority for any changes needed to be done in the website. Can generate Multiple Custom Landing Pages, Easily.